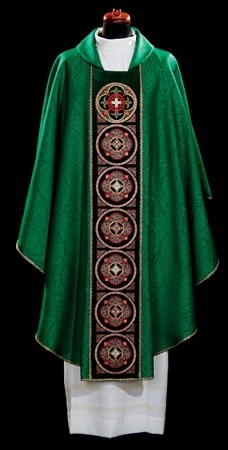 Very ornate Chasuble made of beautiful Damask fabric with detailed embroidery on a velvet panel. 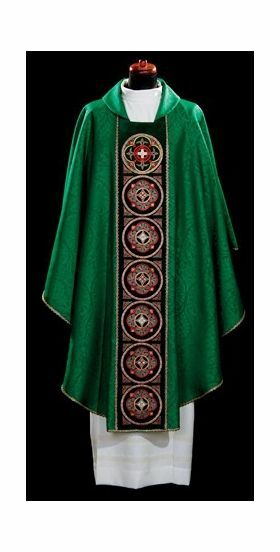 Choose your Liturgical color. Allow 4-8 weeks delivery.